In 2014, Drew Estate launched the follow-up to their hugely popular Herrera Estelí cigar line—the Herrera Estelí Norteño. This new blend featured a dark, San Andrés Mexican wrapper in an attractive box-press shape. The cigars quickly gained favor in the cigar community, ranking highly in nearly all year-end cigar awards ceremonies. Now, Drew Estate’s Master Blender, Willy Herrera, has gone back to the drawing board to craft a special, limited edition version of this popular blend. Introducing the Herrera Estelí Norteño Edicion Limitada, a 7×48 Parejo Prensado Churchill that takes this meaty blend to the next level! For this special cigar, Herrera has used a very similar recipe, making a few changes here and there to accommodate the special, new size. 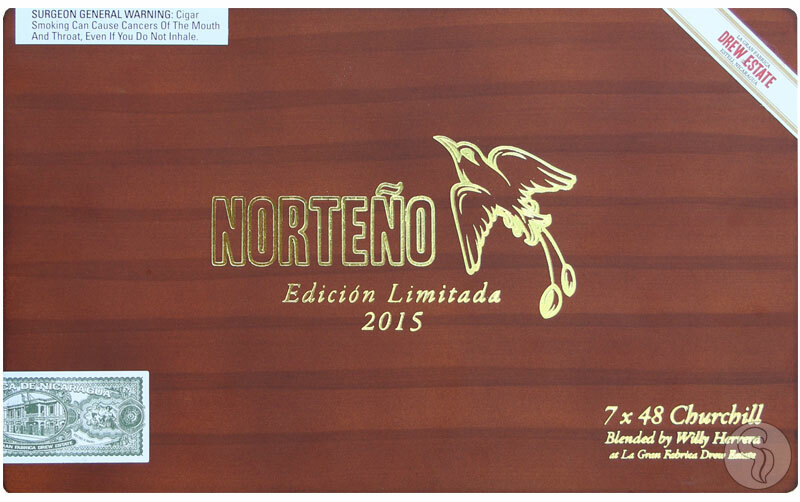 Through the use of ultra-premium tobaccos, coupled with an extensive aging process, the Norteño Edicion Limitada makes for a refined smoking experience like no other maduro!